Minime is a tool that allows you to minimize applications to the system tray using a simple hotkey. 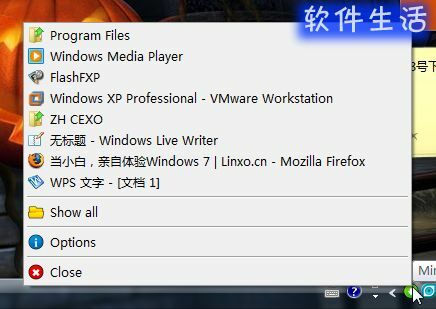 What makes this tool somewhat unique is that it keeps your system tray clean by minimizing all applications into a single tray icon. Minime is a standalone executable that doesn’t require any installation and can even be run from your USB drive, woohoo! All icon files are stored as resources and will be neatly put into your temporary directory. 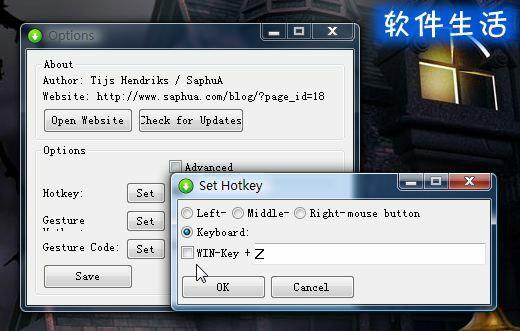 Any custom settings will be placed in a settings.ini file when needed. « 忘记zip密码？ – ZipPassword COMEBACK!